We are always looking for people interested in playing hard and working hard! Just click the above link, download the application and send it in with your dues! Anyone interested in horses and horse activities in general! Since OET's founding in 1970, this organization has played a major role in the building and maintenance of horse camps and trails in the National Forests, State Forests and State Parks of Oregon. This continuing tradition that generates more than 2400 man-hours of volunteer labor each year, OET is very proud of our service. We hope you will join us and lend a hand at a State or Chapter work party this year. OET members enjoy access to a variety of information sources, organized rides and events and the opportunity to meet people with similar interests to your own. 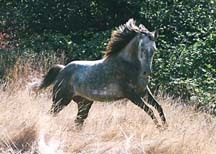 OET Guide Book includes information and maps on Oregon horse camps and trails. OET Trail Mail members only Email list for immediate communication and discussion between members. "Riders Roundup" Monthly Newsletter discusses local and nationwide equestrian related news and information. Members only website posts the latest information on trails, camps and other equestrian issues and provides links to sites of importance to trail riders. Organized rides and special events enjoy chapter trail rides, weekend or wilderness campouts, horse packing trips, educational clinics and other family related events.